Jen Schwanke explains why one of the most crucial tasks for a principal is to slow down and ask good questions. The rest of this content is restricted to Literacy Leaders members. Jen Schwanke began her career as a language arts educator and is currently a principal for the Dublin City School District in Dublin, Ohio. 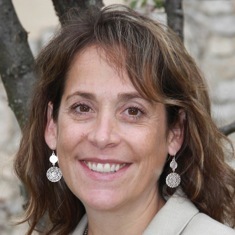 A graduate instructor in educational leadership, she has written frequently for literacy and educational leadership publications and blogs about her experiences in learning and leading at jenschwanke.com. Follow Jen on Twitter @Jenschwanke and Instagram @jenschwanke. Jennifer Schwanke begins a new summer series on doing a self-audit of your literacy leadership and your school's needs. This is a great tool for reflection and planning for the new school year. In this introduction, Jen explains why this auditing and reflection is essential work. Jennifer Schwanke shares tips for ensuring your classroom visits aren't unexpected or unwelcome. This is the time of year when principals and literacy coaches are weighing which teachers might take on leadership roles next year and which teachers in leadership roles might be relieved of these duties. Jennifer Schwanke shares her process for this delicate work. Choice Literacy is a community of passionate educators who lead. Come join us! Get free articles and insights delivered to your inbox every week with the Choice Literacy "Big Fresh" Newsletter!